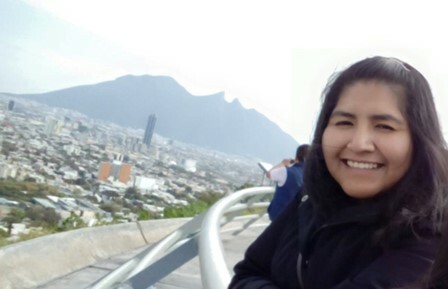 Ana has just started on her way to PhD at Universidad de la República in Uruguay, where she will take the ESR11 position in Edulia, working on development of sugar-reduced dairy products for pre-adolescents. Read about her expectations here. Hello! I am Ana Velazquez (30) from Mexico. One of my passions in life is “Food” so I studied Food Chemistry in my home country and I later a master degree in Food Technology in the Netherlands. During my master I focused in “oral coatings” those residues that attach to your mouth when you eat or drink and how they affect the sensory perception of drinks. 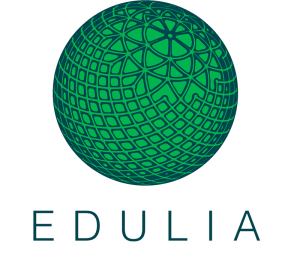 Why do you want to be part of Edulia? Well, I think the first reason is that it tackles in some way one of the main health problems in my country “Child obesity”. So, I saw the opportunity to produce research that could help to build strategies that aid healthy eating in children across the world, including my country. Another reason is how the whole project is constructed. I will be working in a project that I really like but in parallel there are 10 more projects that I believe will be really enriching due to the multidisciplinary approach. It sounds really exciting! I will be working at the Universidad de la República in Uruguay. I really happy because I used to read many papers from them! When will/did you start your position? I will be starting at the end of September. Right now I am working in the last details for my travel. Uruguay here I go! I think that producing research that is truly innovative in three years. To find that small part that others didn’t see but which will make the difference is quite a challenge. The world moves so fast and you want to make so many things at the same time, but I think it is possible. Moving to another country: It is not easy when you don’t know anyone and the people, culture and language is different! It can be a shock but you have to adapt. I have always wanted to be in the academic field and I believe this project will allow me to get close to that goal. Which challenges do you find most important from our society in the future? Well, today I can see so many challenges and opportunities for our current society. But from my point of view, having a healthy functional population will be especially important. How we can change the habits of a society when sometimes everything is against them? I want to create innovative and applicable research that influences people’s decisions. Your project is focused on pre-adolescents. What do you think will be the worst/the best part of doing research related to this age-group. I think pre-adolescents could be really moody and unpredictable because they are in a transformational stage and keep them engage will be quite a challenge. But at the same time this is also interesting because you have to create a creative way to reach them.